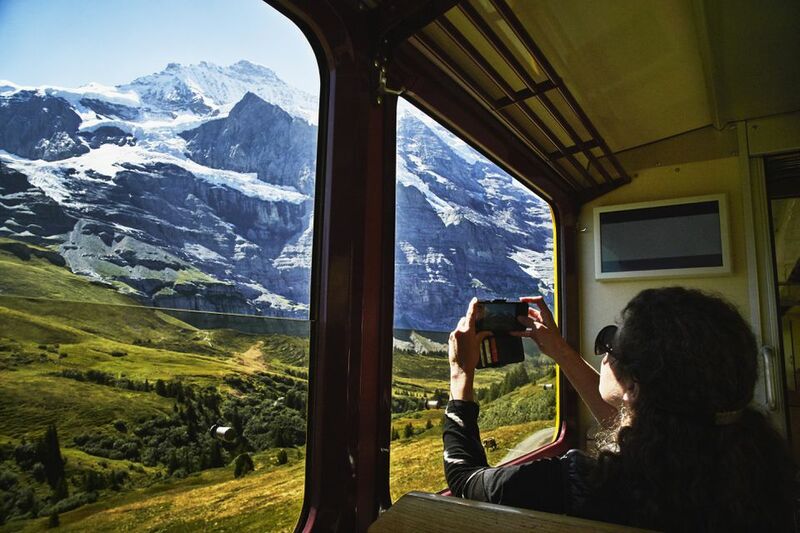 If you're going to be taking a train trip across Europe, you have no need to worry: they're just as safe as jumping on an Amtrak train at home. Make sure you pack your common sense and follow these five safety tips to ensure you have a wonderful trip! Most important of all is to never leave your backpack on the train while you're outside of the car, and especially when it's stopped at a station. While thefts of luggage are rare, you never know if someone's been waiting for you to leave before they grab your backpack and make a run for it. Finally, the best time to leave the car to get some food or use the restroom is while the train is moving. Wait until just after the train leaves a station before getting up. That way, if someone does try to take your backpack, they won't get very far with it before you realize what has happened. If you've got an overnight wait between trains, you might want to sleep in a train station instead of heading out to a hotel. It makes a lot of sense: you save money, you don't have to leave and come back again, and if you only have a few hours to wait, you probably won't sleep much at your accommodation anyway. If it's a large train station in a big European city, you shouldn't come across any problems. Be sure to use your backpack as a pillow and to sleep with your daypack on your front to deter any thieves. The more major the city, the more likely there'll be others settling in for the night, so bag a space nearby. There's safety in numbers, so it's worth doing this, even if it does make your night a little noisier. If you want to sleep on the train without fear of losing of your backpack, invest in a carabiner and use it to hook a bungee cord, string, belt -- whatever you want -- through a backpack strap and to an overhead rack or the leg of your chair. It's not as heavy as a padlock but will prevent thieves, as unhooking your backpack would draw too much attention to them. Overnight trains might sound dangerous, but they're typically just as safe as traveling in the day. If you're lucky, you'll be able to buy a ticket for a train with a sleeper carriage. You'll be able to sleep in a bed if that's the case, which makes for a more comfortable journey and a higher chance of you getting some sleep. With sleeper cars, put your backpack at one end of the bed and sleep with your feet on it. Remember, though, you'll be in a car with plenty of people, who are likely to wake up if anyone tries to do anything, so you don't need to worry much. If you're less fortunate, you'll be taking a regular train overnight. In this case, you'll be sitting the whole way and unlikely to fall asleep. Wrap the strap of your daypack around your foot while you're sleeping upright to keep it by your side. Or you can do the carabiner trick mentioned above. The key is research. Before you take a train, be sure to have a quick google around to see if anyone has anything to say about their experience on that particular route. For the most part, though, traveling on European trains are extremely safe. Be sure to keep your eye on your bags at all time, aim to move around the train while it's moving rather than at the station, invest in a carabiner to secure your bag if you're worried, and if you don't have a reserved seat, choose a carriage with lots of other people there.